Music Boxes There are 10 products. 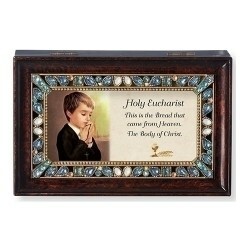 Musical Holy Eucharist Keepsake Box. Tune-Amazing Grace. 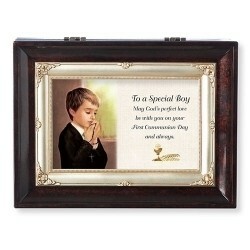 To a Special Boy Communion Box. Tune: Amazing Grace. 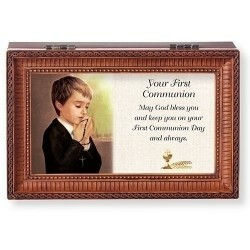 Communion Music Box-Boy. Tune: What A Friend We Have in Jesus. 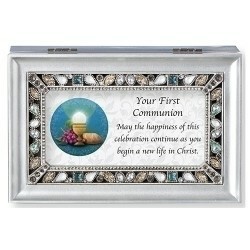 Musical First Holy Communion Box. Tune: Amazing Grace. 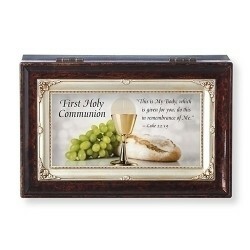 Musical First Communion Box. Tune: What a Friend We Have in Jesus. 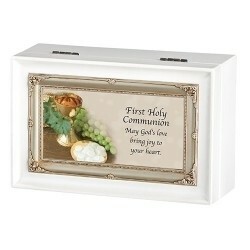 Musical First Holy Communion Keepsake Box. Tune: Ave Maria. Musical Confirmation Box. Tune: How Great Thou Art. 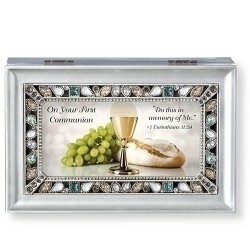 Musical Confirmation Keepsake Box. Tune: Amazing Grace.